May 8, 2018—Cawston, BC: We’re very proud to be kicking off Season 2 of our podcast with our first Youth Panel! Host Madeline Terbasket speaks with three youth, Colton Sterling-Moses, Natalie Sterling-Moses, and Emma Cohen, who excitedly share their experiences of IndigenEYEZ camps. In this episode the Youth Panel covers topics such as diversity of personalities, connecting in a meaningful way, and what is Youth Empowerment exactly? Stay tuned for Part 2 next week where the Youth Panel dives into IndigenEYEZ camp history and the differences between years and locations, as well as what camp experience is like for shy youth. Bursaries are available! 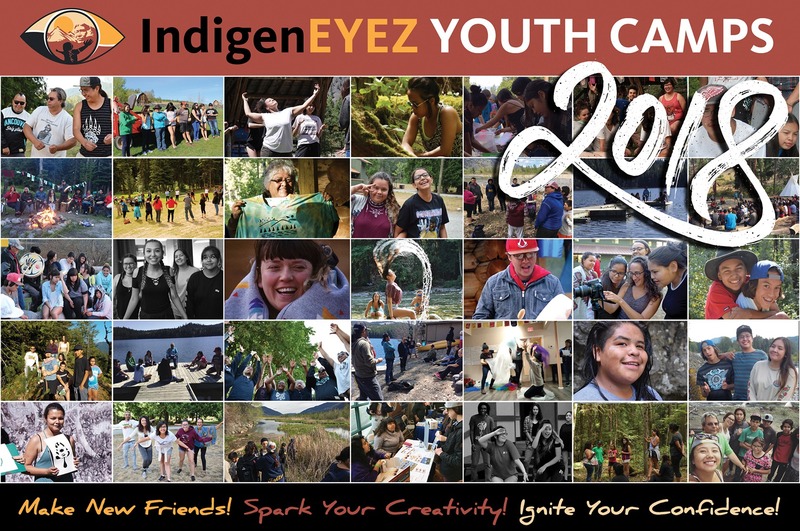 IndigenEYEZ wants to ensure we assist those most in need, if you are lacking the financial resources to participate in an IndigenEYEZ Youth Camp and would like to attend please contact us for an application for a grant to help cover the registration fee.